October 20th – December 1st with delivery at Camp Pendleton on Sunday, December 7th. 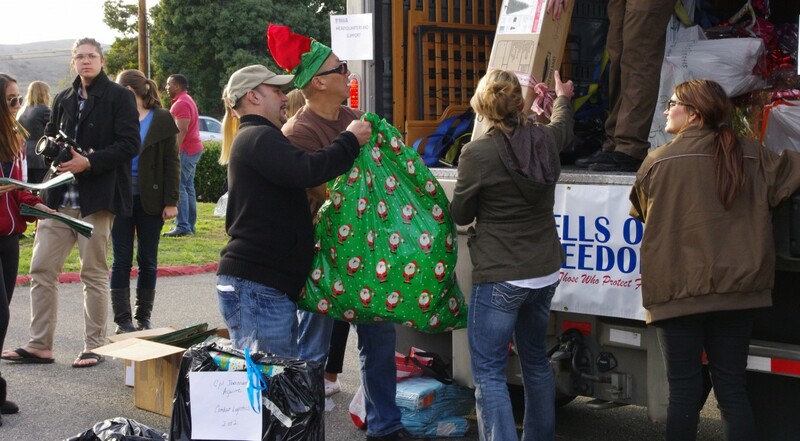 Another way to brighten the Holidays is to purchase a Christmas tree for a local military single enlisted or family in Bells of Freedom’s “Trees for the Troops” fundraiser for the Emergency Care Fund. This event is being held simultaneously with “The Big Thank You” 2014. With just $50.00, a beautiful 5-6 foot Christmas tree will be donated and delivered to enlisted singles and families at our local Camp Pendleton and MiraMar Bases in your name; or for those ‘hard to buy for’ people on your Holiday list, buy a tree in their name and Bells of Freedom will send them a Holiday greeting telling them of your gift in their name. Can’t adopt an entire family? You can still participate!Ask us how we can match you with another sponsor family and ‘adopt’ a family together. Cash donations of any denomination go a long way when totaled up at the end of the day. 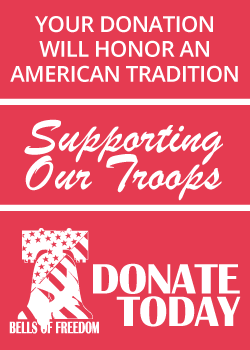 Cash donations allow the Bells of Freedom program to help just one more military family in need. We also gladly accept gift cards to grocery, gas, clothing stores, etc. We welcome all sponsors no matter how great or small to accompany us as we caravan to Camp Pendleton to make our delivery on Sunday, December 7th.